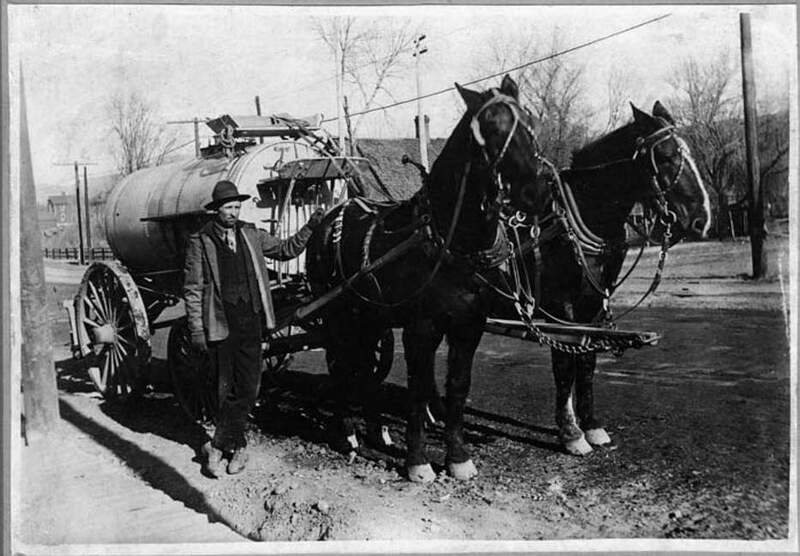 Maude and Jim pull a water wagon and sprinkle the streets to reduce dust in 1918 or 1919. The driver was not identified. 100 years ago: It was the duty of “every citizen in the San Juan Basin and every mine operator shipping to this section” to encourage the addition of a zinc smelter in Durango. 75 years ago: Bridge Club with Mrs. Frank Broud was scheduled to gather for play during the next week. 75 years ago: The Durango School District 9-R Board scheduled a special meeting to discuss teachers’ salaries. 25 years ago: An 18-hole miniature golf course and bicycle rental shop proposed for the southwest corner of 18th Street and Main Avenue “earned a nod” from the Durango Planning Commission during a meeting.